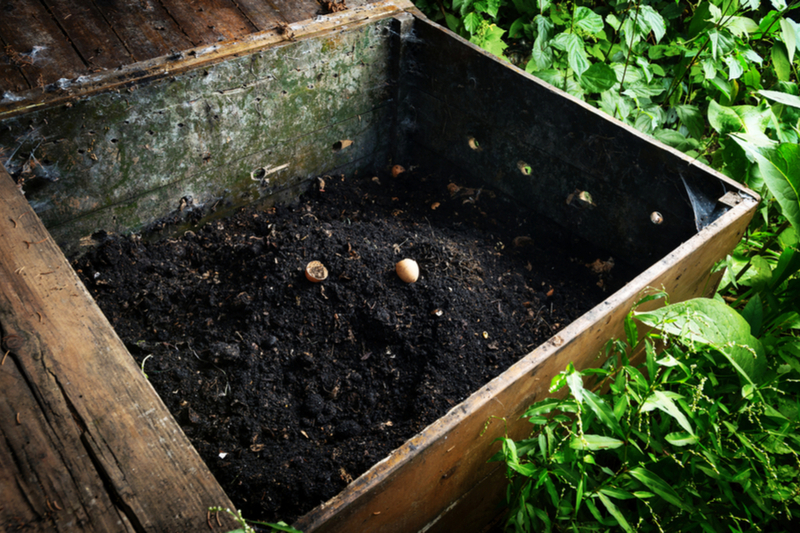 Creating The Perfect Summer Compost Pile - Make Compost Fast! If you are looking to make compost fast, then a summer compost pile is the answer! Summertime is the perfect time to make quick compost. The warm temperatures and increased humidity make it easy for piles to heat up and decompose rapidly. And who couldn’t use more compost? Compost contains nature’s perfect balance of nutrients. It can turn dry, lifeless dirt into super-charged soil, and in the process, power nearly every living plant in the landscape. (1) Selecting the right blend of materials. (2) Breaking materials down prior to adding to speed decomposition. (3) Supplying enough moisture and oxygen to keep the pile “cooking”. A hot summer compost pile all starts with the right mixture of carbon and nitrogen based materials. Nitrogen materials are considered the hot or “green” materials that heat and activate a compost pile. Great sources of nitrogen are chicken, rabbit, horse and cow manure, fresh vegetable scraps, green lawn clippings and coffee grounds. To create a pile that heats up and decomposes rapidly, you need to have the right ratio of materials. That “perfect” mix for a hot pile should fall somewhere close to the range of 4 parts carbon for every 1 part nitrogen. When starting a fast pile, it is best to add and mix all of your materials at once. If you continue to add materials over time, like done in a traditional pile, it will take longer to continually decompose the new ingredients added. Once you have the right mix of materials, it is time to build the pile. A compost pile needs to be large enough in size to generate good heat, but manageable enough for you to work. The perfect size for a backyard compost pile is right around 3′ x 3′. It allows enough materials to work up heat, but makes it easy to turn and keep well-maintained. Most importantly, when creating a fast summer compost pile, you need materials to be as small as possible to speed decomposition. Shred or chop all compost ingredients prior to adding to the pile. The more the ingredients are shredded, the quicker they will break down. If ingredients are cut chopped or shredded to 1/2″ pieces or less, compost can be made in as little as 30 to 60 days. A great example of this is leaves. Whole leaves can take two years or more to completely break down in a traditional compost pile. When shredded and added to a hot pile however, they can break down in as little as 3 to 4 weeks. Chop materials by hand, or use a lawn mower or push mower to take care of the task. An old push mower with a bagging attachment makes for an excellent shredder. All that is left to create a hot pile is to keep it fed – with water and oxygen! In order to create heat, a compost pile needs both water and oxygen. The process of decomposition uses oxygen as fuel. By turning a compost pile every day or two with a pitchfork or shovel, you provide oxygen to all parts of the pile. It allows the organisms that decompose your pile to remain alive and well. A pile needs water in much the same way it needs oxygen. Compost should be damp and moist to the touch. If it dries out completely, it stops generating heat, and the decomposition process stops as well. Keep your pile moist – adding water as it begins to dry out. The moisture and oxygen work together to create the hot temperatures needed to break it down quickly. Be careful of adding too much water. If a pile becomes too wet, it can have an adverse effect and stop working.